A useful and practical guide for understanding and sharing truth with LDS people. Includes over 30 pages that highlight the contradictions between Mormon Scripture and current Mormon Doctrine and also what the Bible teaches by comparing each one to the others. It is arranged in an easy-to-follow 3 column format with passages written out in full. Quickly compare topics like, Priesthood authority, Is there more than one God?, Is God unchanging?, Was God once a man?, Total apostasy, Polygamy, and many more topics, including a section on false prophesies. 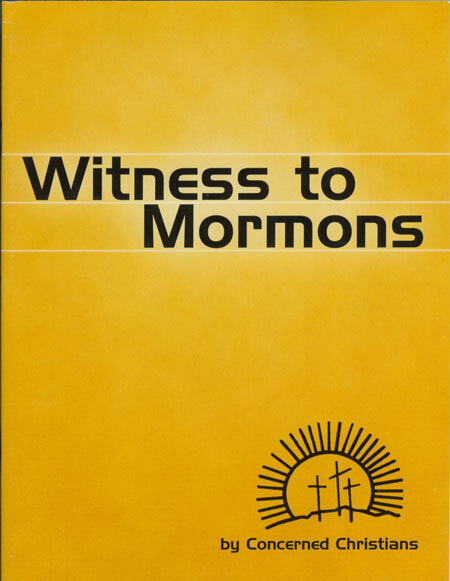 This resource provides many helpful insights for reaching your Mormon friends.